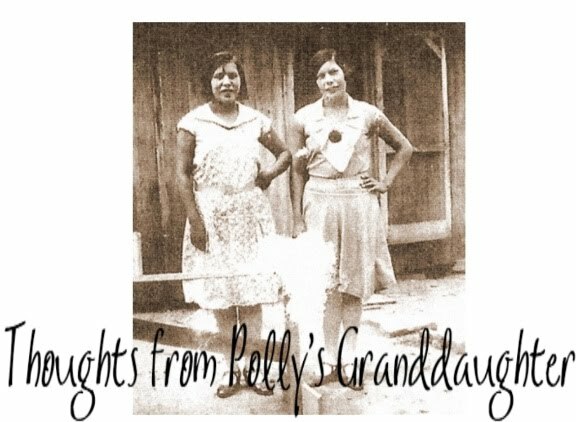 Thoughts from Polly's Granddaughter: Time to Come Clean, Ms. Warren? Time to Come Clean, Ms. Warren? There has been a lot in the news about Elizabeth Warren, the Harvard law professor who is running for US Senate. It seems she may have wrongly claimed to be Native American to help further her career. Of course, she claims she "checked the box" to get involved in social activities with "people who are like" she is. I would like to know what she meant by the statement "people who are like I am." If she means people like Ward Churchill, I guess I get it, but if she means people like me and other REAL Indians, I don't. She isn't a real Indian. And contrary to most of the current media stories, she doesn't even have a Cherokee ancestor. Chris Child of the New England Historic Genealogical Society publicly stated that Ms. Warren did have a Cherokee ancestor, but it seems both he and the NEHGS have backed away from that claim, thanks to media attention and to the investigative work of another Native American genealogist. I have been unavailable to research this much due to a family emergency, but I have been kept in the loop of the research done by both my team and others. The team I work with has been tracing Ms. Warren's ancestry and has found no indication of Cherokee ancestry in any of her ancestral lines so far. Emails from them to Chris Child of the NEHGS went unanswered. But one researcher was able to get answers to at least one of his emails where Mr. Child admitted the only thing they had showing Cherokee ancestry for Ms. Warren was the infamous family newsletter. That newsletter has now been shown to be inaccurate. It is unfortunate that things like this have to happen in order for us to see why false claims of Cherokee ancestry (or any Indian ancestry) can be harmful. Did Ms. Warren use her false claim to get the edge over others who might have been equally as qualified to teach at Harvard? This doesn't just affect Cherokees or other Native Americans. It effects everyone. What if Ms. Warren was selected over another equally as qualified white woman simply because she "checked that box"? I have read a lot of comments to the recent news stories and some people are asking why it matters. It matters because Ms. Warren lied. And her lie is worse than that of the average Joe Shmoe on the street who wrongly claims to be Cherokee because Ms. Warren is a LAW PROFESSOR. She is aware of laws and the standards of proof needed for what we claim to be true. High cheekbones wouldn't cut it in court and it doesn't cut it in genealogy either. Ms. Warren cannot claim ignorance nor can she claim she just didn't have the money to do her genealogy. After all, she is a Harvard professor and also works as a consultant. It's time to come clean, Ms. Warren. You can blame all this attention on Senator Scott Brown if you like, but we Cherokees aren't buying what you are selling either. 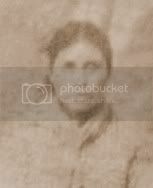 It is time to admit you have nothing but a family story on which you base your claim of Cherokee ancestry and that after investigation, you realize that story is not true. It is time you apologize not only to your supporters but also to the real Cherokee people - not just for pretending to be one of us to further your career, but also for that "high cheekbone" comment. Come on, if you really got your job at Harvard on your merits, then you are intelligent enough to know that is a stereotype and insulting. Buh! **Note - I would like to thank both the team of researchers I work with for keeping me aware of their findings while I was busy taking care of family responsibilities. Your unending devotion to finding and revealing the truth is admirable and makes me proud to call you all friends.